Traditional health promotion efforts focus on reducing factors that contribute to ill-health, such as sedentary behavior or smoking. Yet, this focus on negative or deficit behaviors overlooks those who engage in positive health activities and their reasons for doing so, as well as the positive health assets they gain as a result. Focusing on the absence of health promoting attitudes does little to shed light on why and how individuals successfully build states of good health and wellbeing. However, this information is useful for the development of health promotion initiatives. Consequently, this study investigates the experiences of ten physically active Emirati nationals and the psychosocial assets they have developed through their various activities. 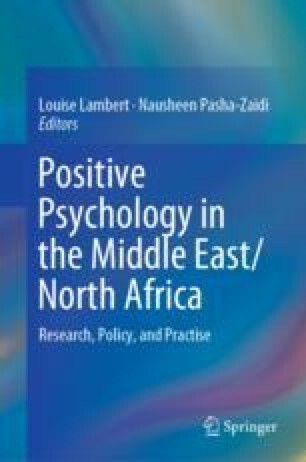 We also explore the relevancy of positive psychology and of positive health in particular, for health promotion efforts. Al-Eisa, E., & Al-Sobayel, H. I. (2012). Physical activity and health beliefs among Saudi women. Journal of Nutrition and Metabolism, Article ID 642187. Retrieved from http://www.hindawi.com/journals/jnme/2012/642187/. Gavin, J., Mcbrearty, M., & Harvey, W. (2013). Involvement in physical activity: Adolescents’ perceptions of outcomes. SAGE Open, 3(2). Retrieved from https://doi.org/10.1177/2158244013485094. Mulholland, E. (2008). What sport can do. Retrieved from True Sport Foundation: http://www.truesportpur.ca/files/tsreport/TS_report_EN_webdownload.pdf. Seligman, M. E. P., Peterson, C., Barsky, A. J., Boehm, J. K., Kubzansky, L. D., Park, N., & Labarthe, D. (2010). Positive health and health assets: Re-analysis of longitudinal data sets. University of Pennsylvania, White Paper. Retrieved from http://www.sas.upenn.edu/psych/seligman/positivehealthassetspub.pdf. University of Pennsylvania. (2015). What is positive health? Retrieved from https://www.authentichappiness.sas.upenn.edu/learn/positivehealth. World Health Organization (2006). Constitution of the World Health Organization. Retrieved from http://www.who.int/governance/eb/who_constitution_en.pdf.